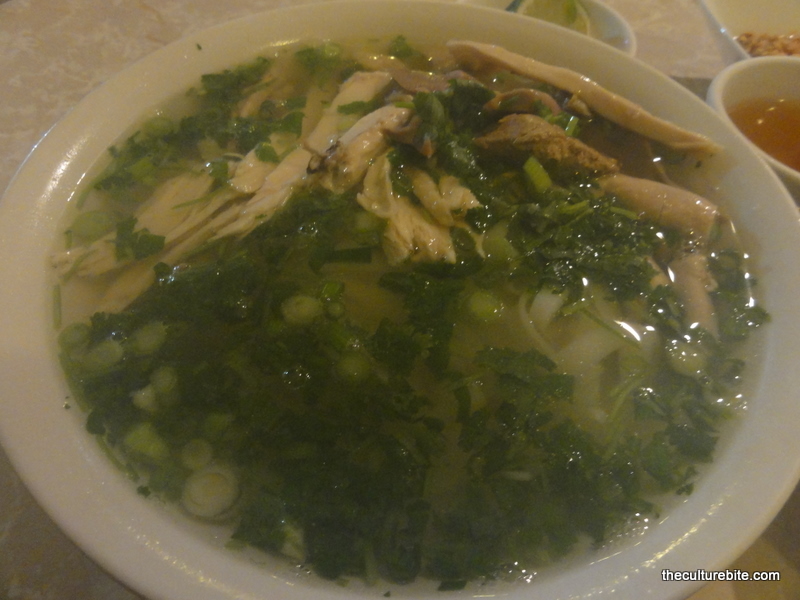 I tried the famed chicken pho at Turtle Tower, and I was shockingly unimpressed. It’s just not the pho I’m used to. I prefer the typical kind of pho with the thin chewy noodles. This kind of pho used fat rice noodles, similar to those in Chinese noodle soups. Also, the load of green onions and cilantro over powered the dish. A big turnoff. The spring rolls filled with vermicelli noodles, shrimp, chicken, mint and lettuce were fresh and tasty. But, I’d say Out the Door’s spring rolls are a little bit better because they’re bigger and they use a special sauce in the wrap. In conclusion, I don’t think I’ll come back to Turtle Tower when I’m craving pho.